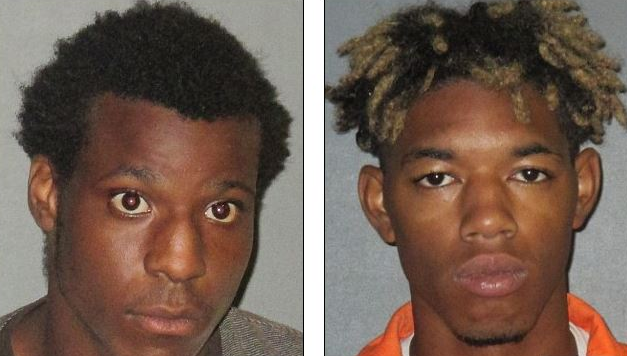 Police in Baton Rouge, LA have arrested three people who stole guns with the goal of killing police officers. Police are still searching for a fourth suspect in the alleged plot. State Police Col. Mike Edmondson says police considered that a credible threat to the safety and well being of local authorities. Authorities discovered the plot while responding to a burglary at Cash America Pawnshop on Saturday. Two of the suspects include, 17-year-old Antonio Thomas, and 20-year-old Malik Bridgewater. A third, 13-year-old suspect was also apprehended. During questioning Thomas revealed to police that he and three others stole firearms and were “going to get bullets to shoot police.” The boys did not give any details about when or where the attack would have been carried out. All of the suspects are from Baton Rouge and all are black males. They face charges including burglary, simple burglary, and theft of a firearm. They have not yet been charged for plotting to kill police. Over a three day period local police have arrested approximately 200 protesters. Six of the eight stolen firearms have been recovered while two remain at large. Several law enforcement agencies are now investigating the case, including East Baton Rouge Parish Sheriff’s Office, Louisiana State Police and the ATF. Police are calling on the fourth member to turn themselves in and will continue to search for the suspect until they do so. We have been questioned repeatedly over the last several days about our show of force and why we have the tactics that we have. Well, this is the reason, because we had credible threats against the lives of law enforcement in this city. Watch Chief Dabadie’s full press conference below.